Emma's (RIP) painted T-shirts there.. I use to go regular and take her the tshirts, around 1987. 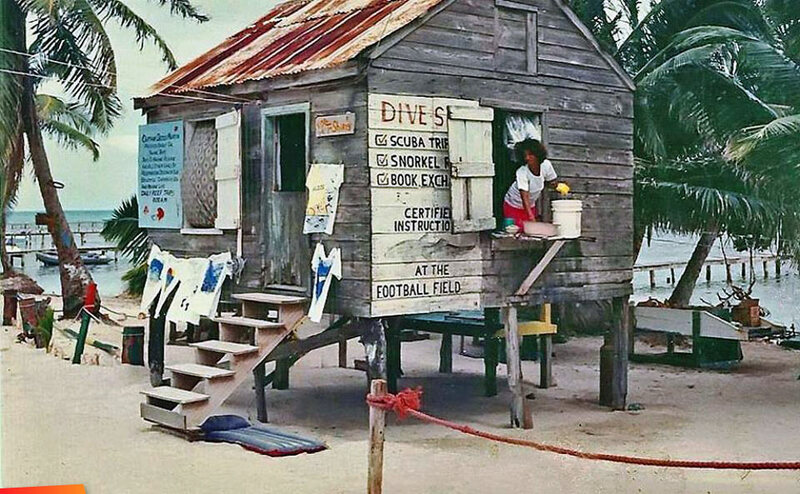 Belonged to Hector Alamina...my friend Kurt Walker's Dad spent some time in that house in the 60's... Caye Caulker was a paradise back then.. I remember she had a baby a day before we picked up a tshirt. Painting was of the reef. We use to stay almost across the street on the corner in front of Chichi in the little house and had the big army tent next to it...That's the Caye Caulker I remembered. I use to sit on those steps. Those were the real holiday homes I remember. Hammocks & wooden bunks! Nice memories!!! 26 years ago I came to Caye Caulker and met Emma we de in di window. Today that's opposite Happy Lobster.